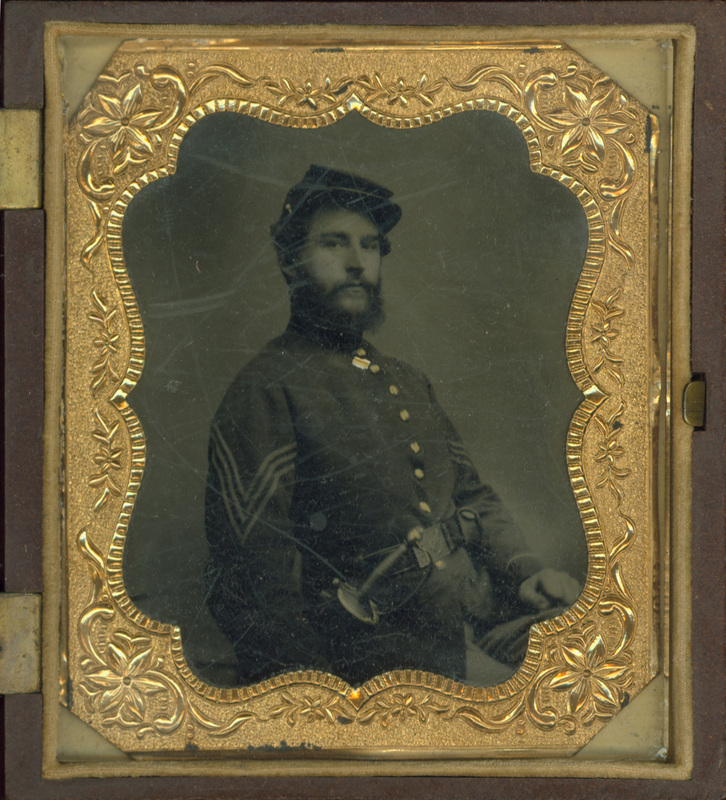 Gould D. Molineaux (1835?-1883) was a clerk and bookkeeper by trade and served as a corporal, and later sergeant, in Company E of the 8th Illinois volunteer infantry. He fought in the Civil War from early June 1861 until the war&apos;s conclusion; his diary entries continue through May 16, 1866. Many of the later entries have been transcribed. Molineaux participated in a number of important battles, including the Vicksburg Campaign. From 1865 onward he was stationed in Mobile, Alabama. While Molineaux&apos;s earlier entries are intense and action oriented, describing moments of combat, the maneuvers of "the rebels," or listing the wounds of friends and fellow soldiers, his later entries are more likely to detail office reports and stock lists as well as the occasional mention of "exploding shells." Though all the diary entries show evidence of struggle, the later entries are more apt to talk of visits to restaurants, the theater, and even church. Throughout the diaries, Molineaux often refers to loved ones in his hometown of Peoria, Illinois, including his mother, Eveline Keyon; stepfather, Lewis Keyon; sister Phoebe ("Phebe") and her husband George F. Laubach (sometimes referred to as "G.F.L. ").